I have new mobo Asus Sabertooth Z170 Mark 1. I want to install Windows 7 Home in UEFI mode, but I'm still not successful. "A required CD/DVD drive device driver is missing. If you have a driver floppy disk, CD, DVD, or USB fhlash drive, please insert it now. I use original OEM DVD Win 7 Home 64-bit that is surely good as when I boot in Legacy mode everything goes well and when I change SATA mode selection to AHCI instead of RAID and UEFI is enabled it goes well, too. When I also tried Win 8.1 in UEFI mode everything went well and system was installed correctly. But I want RAID, UEFI, Windows 7. Probably I need to get RAID drivers into Windows 7 install, but have actually no clue how to do it. I can boot from Flash drive, but it does the same, so I ended up with the message: "A required CD/DVD drive....."
I did't use USB 3, only USB 2 ports and more of them, but without any success. In Boot menu I choose "UEFI: USB Flash Drive" (before I chose UEFI: HL-DT-ST.. as DVD-ROM). Even if i choose only USB Flash Drive (without UEFI in Boot menu) the result is the same. I also tried to download new image with built UEFI that is considered by other users as helpful, but the same result. Also tried original Windows 7 Pro OEM DVD (image written to USB flash drive) - the same issue and also tried external DVD drive - no success. Any suggestions how to solve this? Will appreciate that. PM me if you want to talk, I`ll let you know how to get it done. It is now a picnic to install Windows 7 on a Z170 using the 3.0 USB ports by setting up a usb installer using Asus`s EZ Installer program, but the Z170 has usb 2.0 ports, so no issue anyway. Thanks for posting, but I'm unable to send you PM and I don't have this possibility by default. Maybe the reason is that I'm new and administrator must enable this feature for me. Quite strange, but I can't help myself. Is there any way to contact you? Meanwhile I tried to change Secure Boot to "Other OS", run the install process as UEFI, but no success - the same result. I also tried Method 2 in this document: http://dlcdnet.asus.com/pub/ASUS/mb/...uide_print.pdf No success again. Do you have another machine to start the install on ? Hi guys, sorry for my late reply :). TrashZone, Thank for your advice, but I think it is the issue of motherboard and Win 7, so I'm not sure, if I install it on another machine if it will accept another UEFI BIOS settings on another machine. But I will share results of my investigation during last days. Hopefully it may help to someone. In all cases driver loading was not succesful (USB stick was inserted into USB 2.0). If I clicked Next nothing happened. It has found the hard drive (only one size is shown, but it is probably due to RAID 1) But this drive I was not able to format and continue with install. Windows cannot be installed to this disk. This computer's hardware may not support booting to this disk. 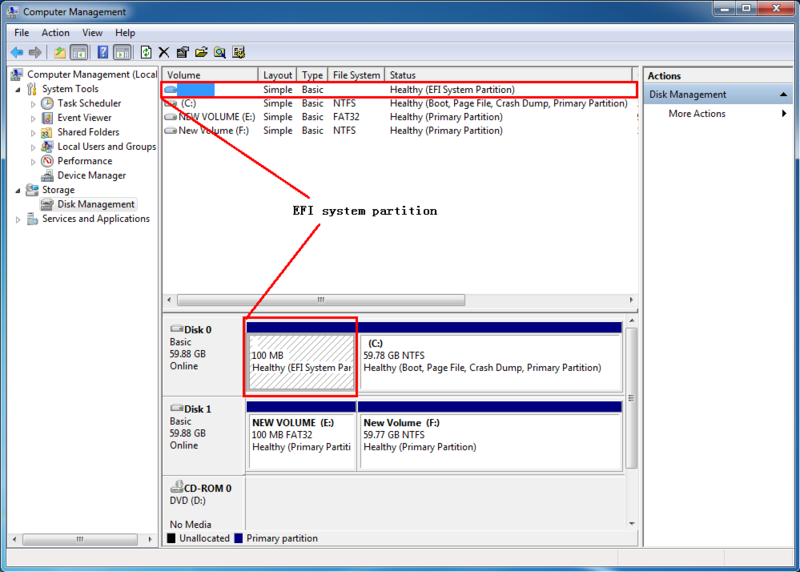 Ensure the disk's controller is enabled in the computer's BIOS menu. So the result is that I was not able to install Windows 7 under UEFI. This makes sense as it was launched in Legacy mode (even if Windows UEFI mode was selected under Secure Boot option). If i run it as UEFI (not Legacy mode set up in Bios) it makes the same as USB stick did with one difference that I'm able to run the install DVD also with UEFI booting. It means I was not able to install Windows 7 in case UEFI mode was on in Bios. This doesn't make a sense as it was launched in Legacy mode, but as UEFI boot. There was also option Windows UEFI mode under Secure Boot, but I realized that in this case it does not matter if there is Windows UEFI mode or Other OS selected. I'm confused of this as the BIOS was set to Legacy, boot was UEFI and Windows shows that boot environment is EFI. Does it make a sense to someone? All mentioned cases were in CSM enabled mode. If CSM is disabled and Secure Boot is set to Windows UEFI mode DVD does not launch it always do the restart. If CSM is disabled and Secure Boot is set to Other OS DVD with UEFI boot always froze. If CSM is disabled and Secure Boot is set to Other OS DVD with non UEFI boot continues installation process further (but as BIOS, not EFI in setupact.log), but this was not my case as I wanted UEFI. But this also make sense. My conclusion is that only way how to install Windows 7 UEFI was to set Legacy in BIOS and run UEFI boot (Secure Boot was Windows UEFI mode, too, but when I try to launch it as Other OS, I did not realized a difference). Original DVD is all you need. So in this case setupact.log is showing EFI Boot detected environment. But I'm still a bit confused if this is the proper solution of Windows 7 UEFI for Sabertooth Z170 Mark 1. Is it the only way how to get W7 UEFI in this case or am I doing something wrong? Post a shot/snip of your install drive (the entire drive) from Disk Management, we should be able to tell from there. but another 10 MB unallocated. From this point of view it seems all like UEFI, my doubt is about settings in Bios, where I had to set Legacy mode in order to install W7. This was not necessary while installing W8. I would say: it is UEFI (like Windows shows), but not UEFI (like Windows 8 UEFI is) so what is it?